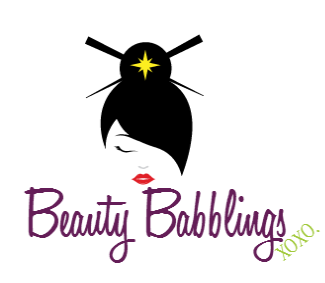 Newly launched onto Luxola, let's welcome Luscious Cosmetics! I have not heard much about this brand but I'm so lucky to be sent these two items to review for you guys. First thing that struck me when I saw the products was the simple black packaging. Looks pretty professional to me (which makes the products seem promising), but packaging really is least of our concerns. Another thing to note, Luscious Cosmetics is free from animal testing and contains no animal derived ingredients (yay!). I used to be a gel liner gurl, until I discovered Maybelline's Hypersharp Liquid Liner and got converted. 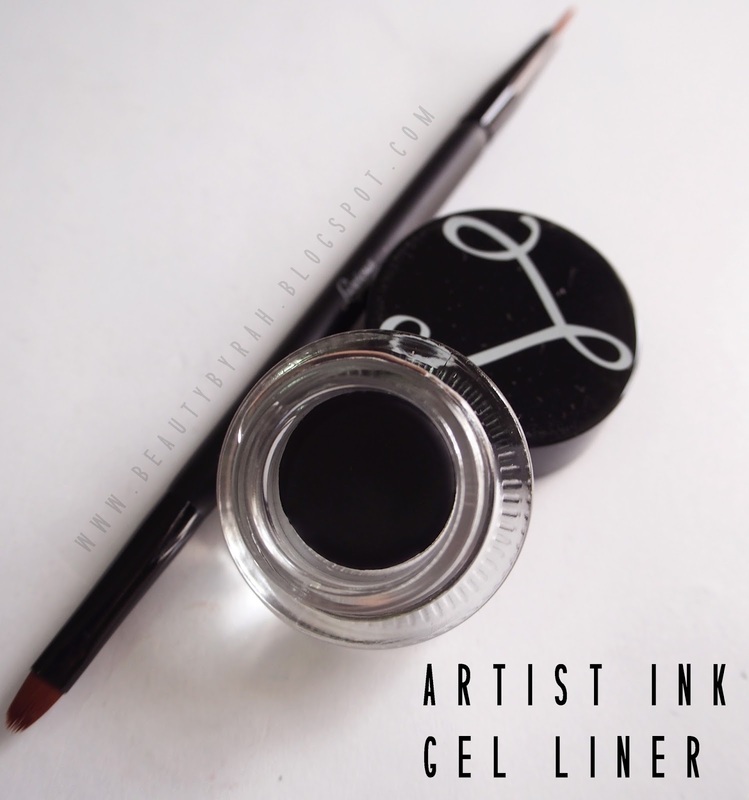 Gel liners typically last longer and are more rich and pigmented in colour as compared to pencils and liquid liners. I have really oily lids and I need products that will not budge or smudge! I have really high standards, people. 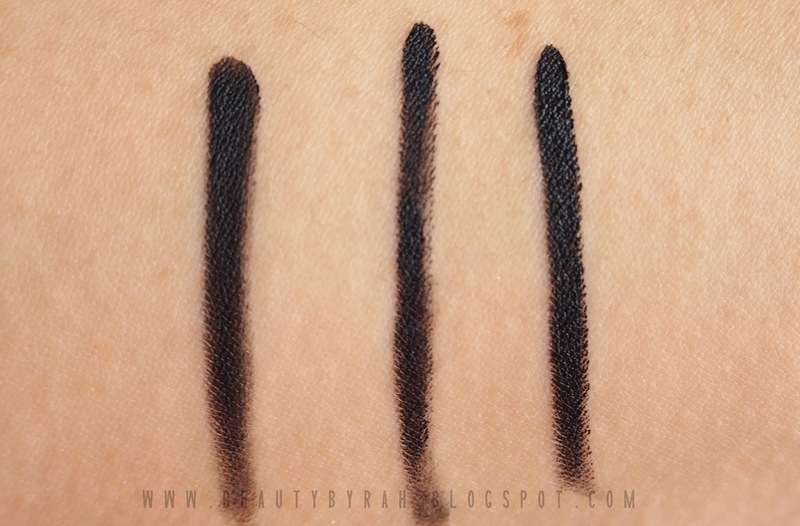 MAC's Blacktrack couldn't work for me, and neither did the many gel liners I've tried. It kept smudging no matter what I did! 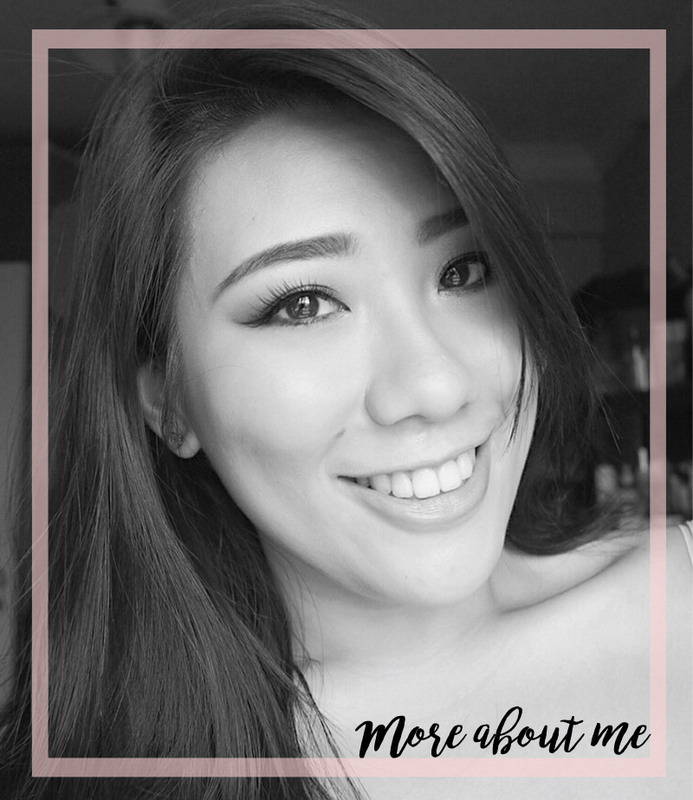 So once I tried the Maybelline liquid liner, I was mind blown and vowed to never go back to gel (until I tested this product out). Here is the Artist Ink Waterproof Gel Eyeliner in Midnight Ink. In this set, you get a dual ended eye liner brush and the gel liner itself. There is 3.5g worth of product here (which is more than MAC Fluidlines and Maybelline's Eye Studio Gel Liners which are both 3g each). Comes in a typical pot, like any other gel liners. Ok first on the gel liner itself. First impression? I'm not really impressed. 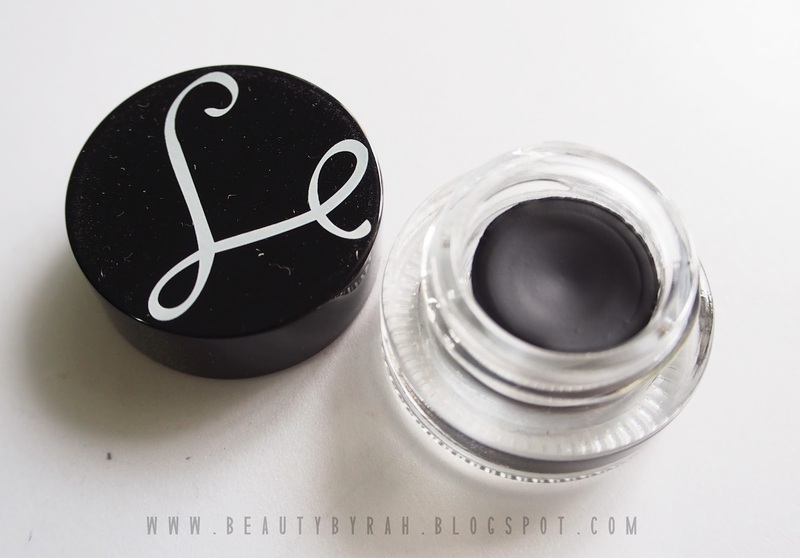 The liner felt dry and I really had to use quite a lot of pressure to press the brush into the product. 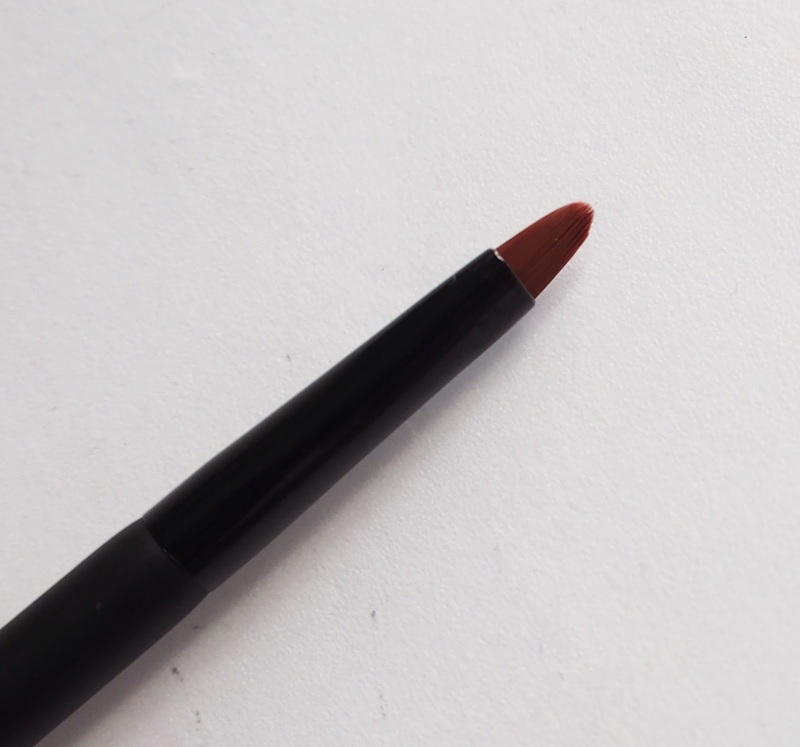 Y'know how we al love that first brush dip into a creamy and soft pot of gel liner goodness? That, sadly, didn't happen for me here. I'm not entirely sure if I got a dud but I was not liking this hard texture one bit. 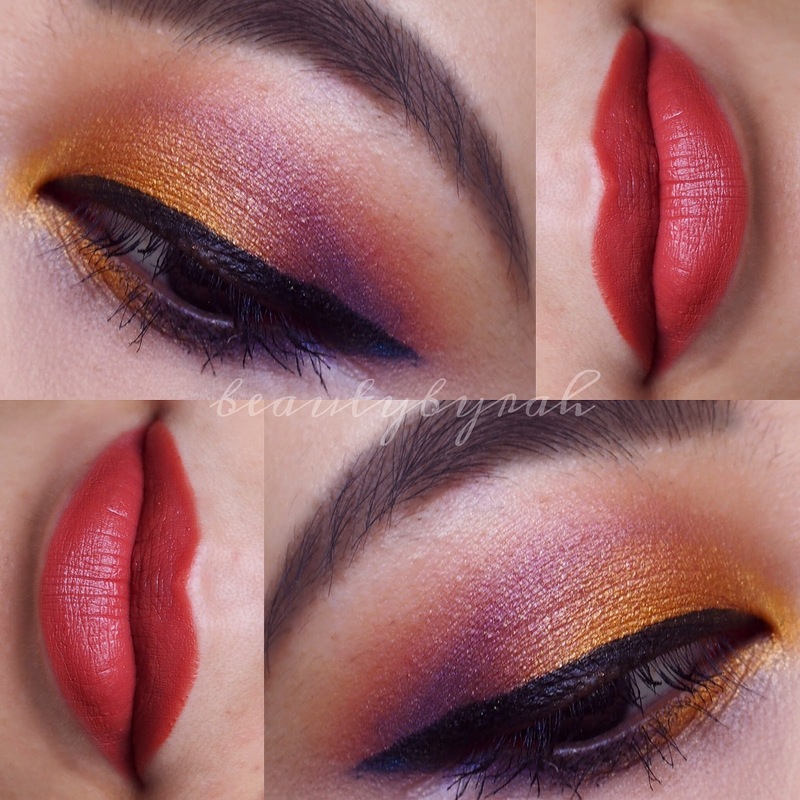 Despite the harder texture, the liner did glide nicely onto the lids. It tugged slightly, but not too much. Pigmentation wise, it is lovely. Rich, deep and a true black, just how I like it. 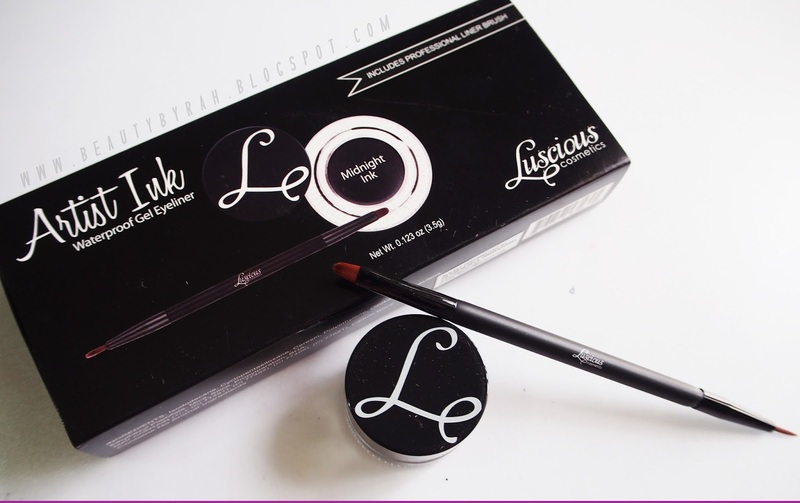 Truly comparable to the Maybelline Eye Studio Gel Liner in Blackest Black which everyone raves about for its awesome pigmentation. This liner dries to a semi-matte finish too. I typically prefer a matte finish, as I just love how it looks on my eyes. It completes an eye look, y'know? Nothing scares me more than a liner that dries with a strong sheen. This liner wasn't too bad, and the finish is decent. Onto the eyeliner brush. I've gotta say, this brush is nothing extraordinary but it will definitely be useful to those makeup beginners out there who require an eyeliner brush. I usually go for my angled eyeliner brushes to do gel liner as it gives me more control. But this brush provided will get the job done. The flat side of the brush reminds me of the brushes provided along with the Maybelline Eye Studio liners but a tad softer (which is good as I always found the Maybelline one too stiff and slightly uncomfortable on the eyes). The thin side of the brush gives you more control with cleaner and more precise lines. 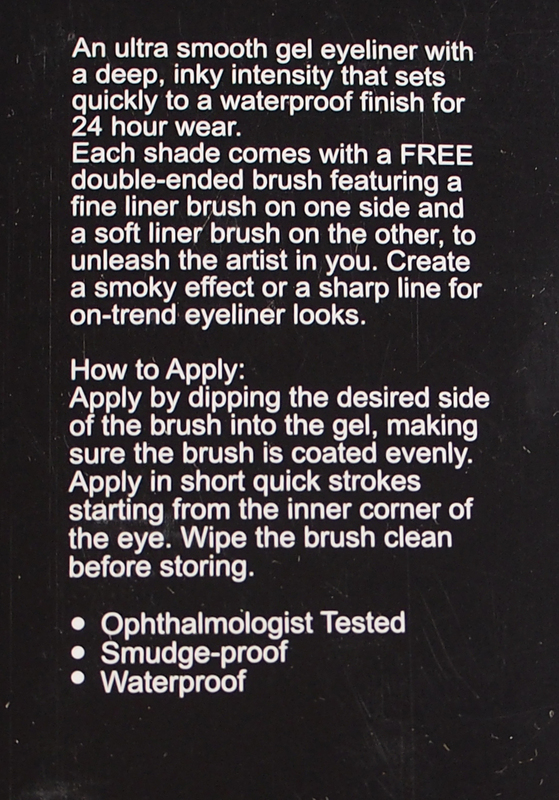 Beginners might struggle slightly with this, as it requires a steady hand and technique to be familiar with the usage of such brushes. I do find the bristles here slightly long, so this reduces the amount of control you have over application too. If you're into winged liner (like me), I suggest using the thin side to draw the outline of how you want the liner to look on the eyes and using the flat side to simply fill it in! Ok, next we have the Signature Lipstick in Coral Pink. Guys, I'm excited to share this with you. I. am. in. love. with this lipstick. Sure, the packaging isn't fancy but oh man, the product inside blew me away. The lipstick applied so so so nicely (even though I am having super dry lips at the moment)! It is moisturising and not drying in any way. No need to prep my lips before application here - that is proof of its moisturising properties. 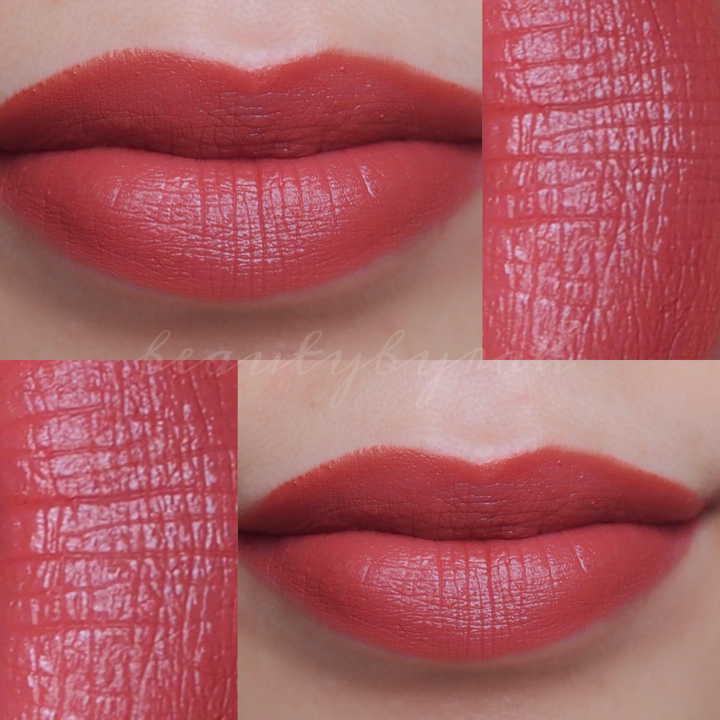 It sits nicely on the lips too, not too creamy nor dry. Pigmentation is also superb. One coat, and I'm done.This lipstick dries to a satin finish as well. Best part? It lasted on me for a long time that made me add this lipstick into my daily makeup routine recently (cus it is that good). I wore it out for about 4 hours then I ate a burger (hello), fries, had drinks and talked. When I looked in the mirror after and the lipstick was still there, I was like YASSSS. And just so you know, I ain't no lady when I eat, let alone when I'm devouring a giant burger. 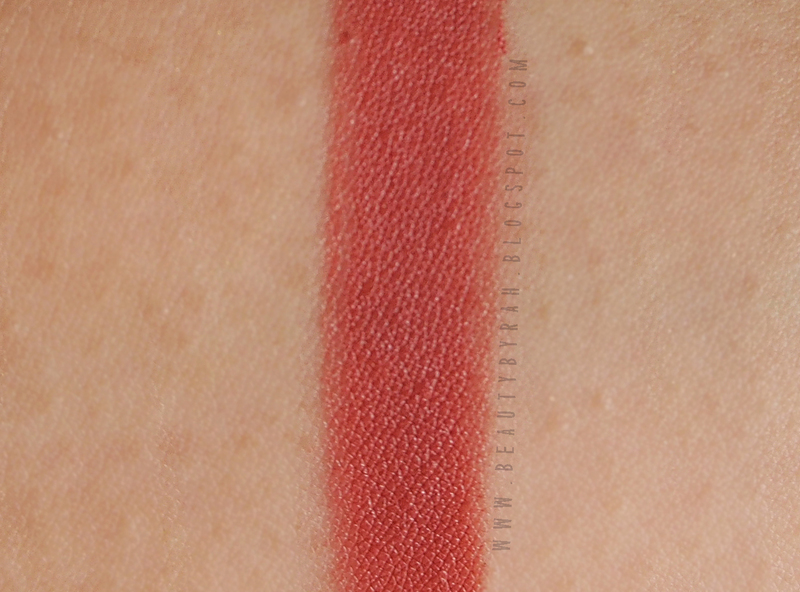 Net weight of the lipstick is 4g, which is more than MAC (3g), Wet N Wild Mega Last Lipsticks(3.3g) and Urban Decay Revolution Lipsticks(2.8g). So you do get more product than many brands, which I thought was a good point to mention! I am seriously considering getting more lipsticks, guys. I just don't know what colour to get! First world problems, am I right? 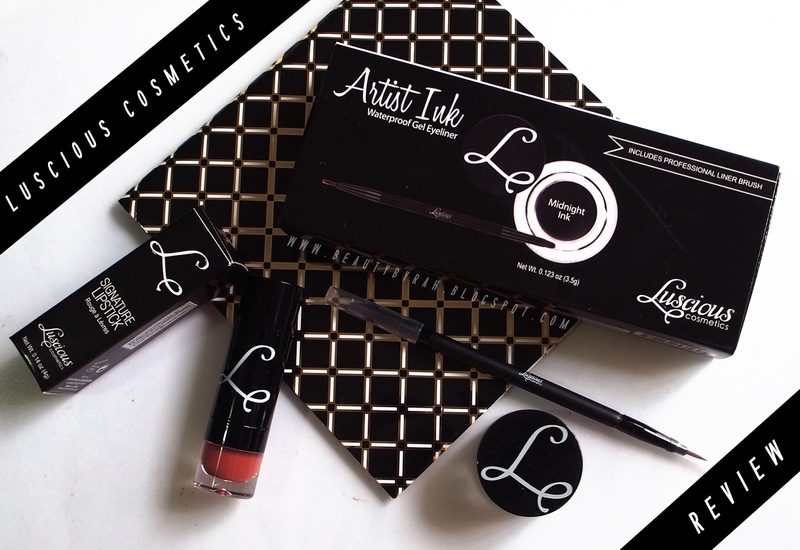 The Artist Ink Gel Liner retails for SGD$18.90 which you can check out here. I recommend this for those of you who are intermediate/pro in makeup application as gel liner is hard to handle. 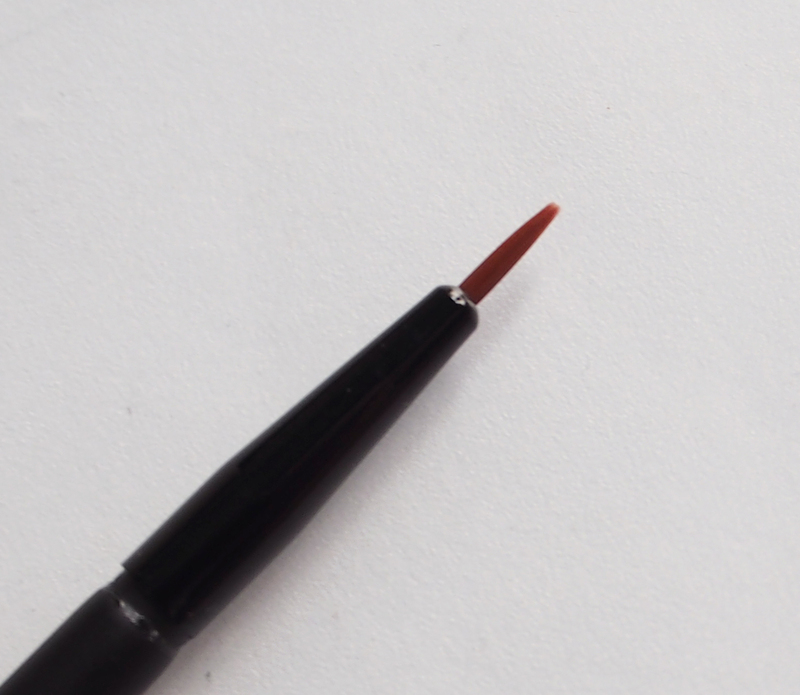 The texture of this gel liner requires more technique as well as it is drier and not very creamy. 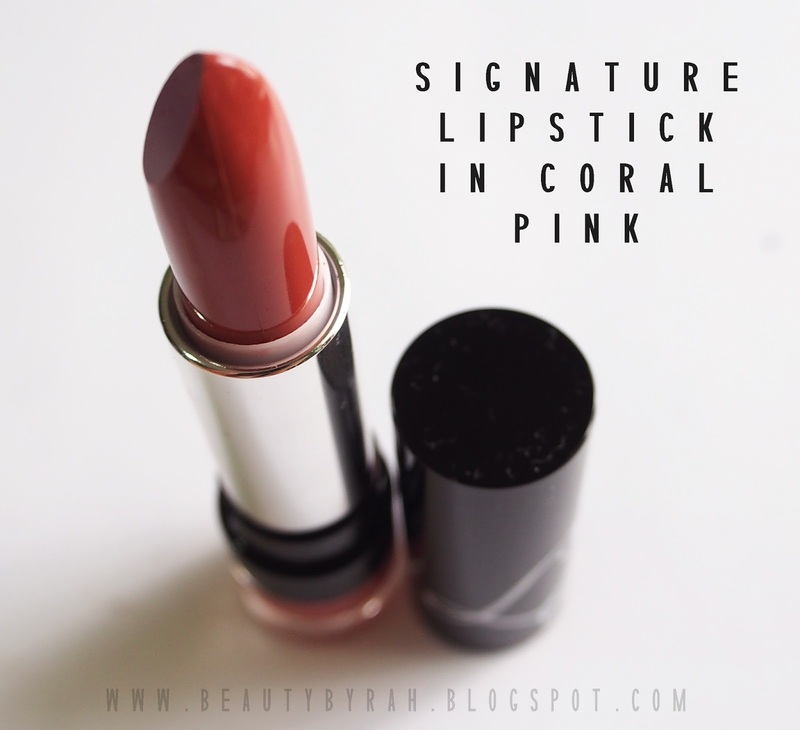 The Signature Lipsticks retail for SGD$22 which you can check out here. I recommend this for everybody. Enough said. Hope this review helped you guys in some way and as always, thank you so much for dropping by! Have a great day ahead everyone! XO.